They were mothers of teenagers who had been shot or committed suicide. Mary Hunt lost her son Matthew in a triple homicide in the East Mountains near Albuquerque. He, along with Viola Garcia’s son Luis and Joan Shirley’s son Kevin, were on their way home from a party on a May night in 1999 when their car was riddled with bullets at a quiet intersection in Sandia Park. A few years before the shooting that took the three teens, Gina Lujan’s daughter, 19-year-old Emilia, depressed about her boyfriend and the suicide of a friend, used the loaded revolver her mother kept under the mattress to take her own life. Now, in the winter of 2001, these moms were on a mission. They were standing together, telling their painful stories at a news conference in the Rotunda, at an event organized by the NM Coalition against Gun Violence, a group of survivors, police officers, sheriffs, emergency room doctors, health advocates and religious leaders. The news conference was to drum up support for the bills that three other women, Rep. Patsy Trujillo-Knauer, from Santa Fe, Rep. Gail Chasey, from Albuquerque, 1 and I were sponsoring in the 2001 session to reduce youth gun violence. My bill, the Children and Firearms Safety Bill (SB 131), required safety locks for every gun sold in New Mexico. Rep. Knauer’s (HB 250) the Child Access Prevention Act, established penalties for parents who did not safeguard handguns from possession by children. Rep. Chasey’s Handgun Safety Standard Act (HB 310) was aimed at getting a commission to look at new gun technologies, which would allow only their owners to fire them. With memories of the Columbine High School shootings fresh in our minds, and a growing awareness that New Mexico had a dismal record of gun violence, we believed that we could save young lives. Why should the US lead the rest of the world year after year in the number and rate of children dying from firearms? And why should we sit still while firearms became the second leading cause of teen deaths after auto accidents? We were careful to explain that we were not challenging rights to gun ownership but were just asking for a little commonsense regulation in an area that seemed to get an exemption from health and safety standards. Sixteen other states (and several major cities) already had laws requiring safe storage of loaded firearms, mostly through trigger locks. The National Rifle Association (NRA) had publicly supported these laws in California, Florida, Iowa, Maryland and Wisconsin. Public polling showed widespread support, and we were optimistic. Wearing t-shirts identifying themselves as Moms on a Mission, Mary Hunt and the other moms made the rounds of the committees to which the bills were assigned. They rattled off recent information compiled by the Department of Health’s Child Fatality Review Board, a volunteer organization that painstakingly reviewed the cases of each child killed in New Mexico by a firearm. New Mexico ranked sixth in the nation in gun fatalities (1997). For children ages 1-9, half of all firearm deaths are unintentional, with most deaths from a loaded firearm that was not locked up. New Mexico has the seventh highest rate of youth suicide in the nation. 27.4% of students seriously considered suicide, and 47% of those made an attempt. Two thirds of youth suicides are the result of a gunshot wound. But it was the mom’s own stories, not the statistics, that made a difference. Matthew Hunt was already in a wheelchair when he was shot, we learned. Kevin Shirley and Luis Garcia were high school athletes. Emilia Lujan was taking college classes and left behind a three-year-old daughter. At the turn of the century, in the wake of the Columbine shooting, gun control had once again become a national issue and the Brady Campaign to Prevent Gun Violence was active. A million moms marched on Washington on Mothers Day 2000, and national polling data showed a majority of Americans supported stronger gun control.3 In New Mexico a new project, Not Even One, housed at the non-profit New Mexico Advocates for Children and Families (later known as NM Voices for Children), got foundation funding to team up with the department of health (DOH) to run violence-prevention programs in schools, do media outreach, and search for policy alternatives. Bill Jordan was the primary organizer for Not Even One and the lobbyist for the safety bills. He was an AIDS advocate fresh off a victory in 1997 from a landmark bill to enable addicts to exchange dirty needles for clean ones (and hence avoid spreading AIDS and Hepatitis C). During the course of the tumultuous session, which started with the overthrow of longtime President Pro Tempore Manny Aragon by Sen. Richard Romero, my bill did not attract much opposition—until it hit the floor. By that time the other two house bills were running into trouble, but mine was still alive. The ante was going up, and arguments that echoed the rhetoric of the National Rifle Association (NRA) began to flow. Sen. Sue Wilson said she was afraid the bill represented an erosion of constitutional rights and could be a step toward registration and confiscation of guns. Opponents, however, belittled the bill as a “feel good” measure that would not accomplish anything, because irresponsible adults would always be irresponsible, regardless of the law. Frustrated, Sen. Leonard Tsosie, my seatmate on the floor of the Senate, said what I had been thinking. Tsosie often jumped around in his arguments, and this time his stream of consciousness led to the NRA. “Let us not bring Charlton Heston and pit him against our children,” he said, referring to the actor and NRA President whose statue on horseback guards the NRA’s shooting facility near Raton, New Mexico. “This is about having the courage to say that the lives of our children matter more than the right of gun owners to store their guns in a manner that endangers the lives of children,” I summarized. “If this saves just one life in the state, it’s worth it,” added Sen. Michael Sanchez of Belen. It was a refrain repeated by several supporters, and it was enough to help the bill squeak by 20 to 17. With the help of Rep. Trujillo-Knauer and Rep. Chasey, the bill also squeaked by the House by three votes. Moms on a Mission didn’t have time to celebrate the narrow victory, though. Another gun bill, aimed in the opposite direction, was occupying center stage. Sen. Shannon Robinson, one of the Senate’s best-known mavericks, had been trying to pass a bill to allow the carrying of concealed weapons since the mid-1990s. New Mexico already allowed the carrying of loaded weapons in plain view and in a car’s glove box, but Robinson and the NRA wanted New Mexico to join the ranks of 32 other states, which, at that time, had legalized the covert practice. When I talked to my constituents in Albuquerque about guns, whether in my annual survey, at supermarkets or local coffee shops, they assumed that gun ownership was already tightly controlled by the state. I thought so too, until I looked into it. But nothing could be further from the truth, then—and now. New Mexico is what is called an “open carry” state. You can carry any kind of loaded gun as long as it is not concealed if you are not a felon and are over 19 years old. No state permits, licenses, training, registration or fingerprinting are required for the possession or purchasing of rifles, shotguns or handguns. And if you have a gun—you can take it almost everywhere except federal buildings, courthouses, buses, bars and the inside of schools. As a rural state, New Mexico has a long tradition of gun ownership for hunting purposes. The fall elk hunt is often a family tradition and children under 18 are required to take a hunter training course. But the use of handguns and small arms for personal protection in urban areas had grown steadily during the last century—as had the crime rate. Robinson, and other proponents of concealed weapons, contended that guns in pockets and purses were necessary to protect yourself—and others– from the bad guys packing heat. Rep. Judy Vanderstar-Russell, a Republican from Rio Rancho who was promoting her own concealed carry bill in the House, emphasized that concealed carry permits were particularly important for women as a defense against would-be rapists. “This is a women’s issue,” said Russell. “Women are the ones who are defenseless. Women are the ones who are preyed upon.” 5 The argument was one of many that the NRA, acting through their lobbyists in the states, was encouraging. Voters in Santa Fe, where Denko was then the police chief, were overwhelmingly opposed to concealed carry permits. The next year, when the issue was still pending, the city’s daily paper, The New Mexican, commissioned a poll showing four out of five (80%) respondents opposed. My own survey in 2001l showed that 71% of constituents who responded opposed the concealed carry bill. Albuquerque city councilors and Mayor Jim Baca were beginning to discuss a citywide ban on concealed weapons as well. But thousands of NRA members were beating the drum in letters to the editors around the state, contacting their legislators via e-mail and phone. Momentum for the measure was mounting. For several years, Robinson, who represented a poor, heavily immigrant and crime ridden area of Albuquerque, had been cultivating conservative rural legislators– joining them to decry gun control and support their hunting and ranching issues. Often he would raise his hands to his temples forming mock moose antlers to signal that this or that issue was a “Bull Moose” issue. Supposedly, the Bull Moose issues were ones that Teddy Roosevelt and his dissident Republicans would have supported, although that didn’t make much sense since the original Bull Moosers were progressive—and not advocates of the conservative values embedded in the issues Robinson was promoting. But Robinson had his own language, and it was usually very colorful. Robinson insisted that people need guns to protect themselves from criminals. Under the provisions of the bill, he said that those who wielded the weapons would have to be 25, take a training course, with periodic refreshers, pass a background check and pay a $100 fee. These are the good guys, he emphasized, not the bad guys who carry weapons illegally. With a lobbyist from the state police acting as my expert witness to counter the NRA lobbyist at Robinson’s side, I brought up the specter of more accidental deaths, which we had just been discussing in debate over my child safety act. “They’re going to be storing these guns somewhere,” I said, citing the high suicide and gun death rate among teens. The thing that bothered me was that the call to allow concealed weapons was based on fear—fear that proponents were effectively whipping up. Once the fear took hold, and the bill passed, everyone would be arming themselves to the teeth in a death spiral of distrust. Knowing that we could not defeat the House bill, which was now the nearest to passage, we attempted to amend it. During a three-hour debate, Sen. Michael Sanchez was successful in including a provision that would revoke a license if the holder was determined to be drunk while carrying a concealed weapon. Senator Linda Lopez, from Albuquerque’s South Valley, and I tried a series of amendments, which would have banned concealed weapons in banks, in hospitals, in churches, in day care centers. Much to our amazement, they all failed, such was the zeal of the pro-gun forces. When Sen. Robinson tried an amendment of his own, to remove a provision in the House bill that allowed cities to adopt their own ordinances, it failed too, presenting what would later become a pesky problem for the new law. The Concealed Handgun Carry Act was passed in the final hours of the 2001 session, almost three decades after Albuquerque Representative James Caudell, a Republican, first introduced it. Gov. Gary Johnson wasted no time in signing it—and vetoing my hard-fought Child and Firearms Safety Bill. I had tried to convince the governor that the two bills were compatible, but he was not persuaded. Doubly disappointed, I thought of the Moms on a Mission. After their greater losses, this was nothing, I told myself. And then something I didn’t expect happened. I’d always felt that the express prohibition on carrying of concealed weapons was pretty clear, but the court didn’t strike the new law down on that provision. Instead it was that pesky inclusion of a local option to allow cities to ban concealed weapons. Baca never did get the city council to ban concealed weapons but his lawsuit put a crimp in the style of the NRA, which was then in the process of adding notches to its gun as states passed more pro-gun legislation. That was o.k. with Baca, no stranger to showdowns with the liquor industry and cattle ranchers. He was not afraid of the NRA. Baca, a former state land commissioner and liquor control director, owned dozens of guns himself, but he thought that allowing people to conceal them was “just nuts.” Concealed carry laws are just based on paranoia, he says, and when people strap one on, they are usually looking for trouble. “I am surprised that the law hasn’t led to more killings, road rage and violence,” he says. Baca, now retired, says it’s all about the power of the NRA. “They have so much power, it’s madness,” he says. With approximately 30,000 members in New Mexico, the country’s largest shooting range (the Whittington Center, near Raton), youth programs, dozens of newsletters and blogs, the NRA presence in New Mexico is palpable. The state affiliate is called the NM Shooting Sports Association. It has both gun industry and citizen support, and its political endorsements are important to politicians and members, who are vocal. Nationally, the NRA is an extremely conservative organization. Its president, David Keen, was the former chair of the American Conservative Union. Grover Norquist, president of Americans for Tax Reform, and Robert Brown, creator of Soldier of Fortune Magazine, sit on its board, as does former rock guitarist Ted Nugent. In 2012, Nugent drew media attention for his remarks at that year’s convention that “Obama and his colleagues need to be shot like coyotes.” Nugent’s remarks were followed by others about riding into the battlefield and chopping their heads off in November, so I guess they were figurative, but they were enough to attract the attention of the Secret Service. I couldn’t help thinking that it was a death that we could have prevented, had the governor signed the trigger lock bill. Our mantra had been “If this saves the life of one child, it will be worth it.” Now one child had died, and I feared others. By the time the 2003 session rolled around there had been a sea change in Santa Fe. The Democrats were now in control of both the legislature and the governor’s mansion, and the new governor, Bill Richardson, was at the height of his popularity and power. Richardson was a friend of the NRA and a supporter of the concealed carry law that had recently been declared unconstitutional. Given the governor’s support, it was almost a foregone conclusion that a reconstructed bill would pass– and it did. This time Sen. Robinson was the proud sponsor and the measure (SB 23) passed the Senate (32-9) and House (50-19) overwhelmingly. Law enforcement was still opposed but their opposition had become subdued. John Denko, the police chief from Santa Fe, was now Richardson’s secretary of public safety. Not surprisingly, we didn’t hear much from him in opposition. Others in the state police were gratified that at least the new law strengthened the training and required a criminal background check for licensees, who had to be at least 25. And private businesses could still post a sign saying “No Weapons Allowed” if they didn’t want to take any chances. NM Advocates for Families and Children, and Dr. Victor LaCerva, a Santa Fe doctor, sued almost immediately to have the law again declared unconstitutional on the grounds of the phrase “nothing herein shall permit the carrying of concealed weapons.” But they were unsuccessful. In the years that followed, the NRA built upon its victory, attempting to increase the number of places where concealed weapons could be carried and to reduce refresher courses and training requirements. In 2007 (and 2012) they were successful in allowing those with concealed carry licenses to carry their weapons into package liquor and convenience stores, lowering the qualifying age to 21 and extending the time period licensees could hold a license before retraining was required. In 2010 Sen. George Munoz, a Democrat from Gallup, passed a bill that allowed owners to carry concealed weapons into restaurants which served wine and beer. Previously, bars were one of the few areas where concealed weapons could not be carried—but this prohibition was now fading into the gray line dividing restaurants from bars. Rural Democrats carried many of the NRA’s expansion bills, and some speculated that the party had simply thrown in the towel on any kind of gun control. The West was becoming a swing area in national elections and Richardson, who was a Presidential candidate during much of his second term, wanted to build alliances with hunters, ranchers and others who carried guns and wore boots in rural areas. And he needed the support of the NRA.13 When Richardson was elected, funding dried up for grassroots gun control advocates like Not Even One and there was no organized opposition to the onslaught of bills that came later. In 2011 Republican and Democratic legislators alike, sensing that the time was ripe, rushed to introduce a model bill supported by both the NRA and ALEC, a conservative legislative group with which it had longstanding ties. These “Castle” bills were based on the idea that a man’s home was his castle and he or she had the right to shoot first and ask questions later, if his actions were in self defense. Some of the bills allowed those with concealed carry licenses to “stand their ground,” even outside their personal residences. They would have no duty to retreat in the face of violence. And they could use their weapons to defend others, not just themselves. 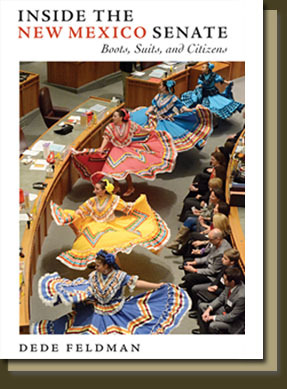 New Mexico’s statutes already included such rights, the legislative council staff told the eager sponsors—to no avail. In their zeal, they introduced the bills anyway, although in 2011, they were not successful. The West’s longstanding romance with guns is a tough issue to tackle. “It’s a force of nature you don’t understand,” said Jim Baca. Perhaps I should have known better than to pick a fight with people who are toting guns here in the Wild West. Who even knew who they were? They certainly seemed to be calling and emailing about anything that could be remotely related, although most were not from my district. Because there is no registration or licensing requirement, except for concealed carry permits (which now number about 24,000), no one knows how many gun owners there are in New Mexico. Nationally it is estimated that there are guns in one out of every three homes, which is actually a drop in ownership since 1980, according to the General Social Survey conducted by the National Policy Opinion Center at the University of Chicago.14 Dave Heshley, a lobbyist with the NM Fraternal Order of Police, estimates that in New Mexico 75% of those eligible to own a gun, own one, or more. And the NRA thinks it is about 50% of the population. One clue to the futility of gun control might lie in one of New Mexico’s most rural areas—Catron County. Back in 1994 the County Commission there required every head of household to maintain a firearm and ammunition needed to fire it. When I heard about the old law, I saw why it might be time to move on to another issue, like health care or education that was not the wedge those on the right end of the spectrum were hoping for. But still, it scared me when on the opening day of the 2012 session, a year after the shooting of Rep. Gabby Gifford in Arizona, a number of people carrying handguns were milling around in the Capitol, eating lunch in the cafeteria, scaring the be Jesus out of staffers and many others. The Tea Party had just held a rally on the west side of the capitol, and MoveOn.org was gathered on the east side. The Occupy movement was in its heyday. There were a number of outbursts from the senate and house galleries during the session, and I thought about what easy targets elected officials were to those who were unhappy with our decisions. The previous year, I had to press the panic button provided under the dais where members of the senate public affairs committee sat, as several members of the audience, angry at our vote on a child custody issue, charged at us, shouting. When the State Police told me it was perfectly legal to carry a gun into the Roundhouse, I couldn’t believe it—although I should have, since it was now legal to carry a gun almost everywhere. So, in 2012, I sponsored a rule change to prevent guns on the senate floor, the gallery, committee rooms and hallways. I knew that some senators had licenses to carry concealed weapons and I wondered if they were packing heat on the floor. I couldn’t find out exactly who they were (the drafters of the 2003 bill made sure to exclude the names of license holders from public information requests, except those coming from law enforcement personnel) but I wanted to hear what they would say. I never got the chance. My rule change was not even heard in the initial committee to which it was assigned, the senate rules committee. It was not surprising. Even violent shootings like the one in 2010 that killed three employees and forced the evacuation of hundreds at Emcore, a high-tech Albuquerque company, did not spark discussion of the easy availability of guns. And armed robberies at convenience stores and restaurants continue to claim the lives of employees. Proponents of concealed carry claim that the possible presence of armed citizens actually deterred more incidents, like the one at a local Wal-Mart where an armed customer shot another, who was attacking his own wife, a Wal-Mart employee. More recently, the massacre of 12 moviegoers, and the wounding of scores of others in Aurora Colorado in 2012 by a young man armed with an AK 47 and magazine that carried 100 rounds of ammunition did provoke some discussion. But not much. The NRA said even discussing the legality of using such assault rifles was an affront to the freedom of gun-loving Americans and exploitative of the unfortunate victims’ deaths. The politicians, then on the campaign trail, largely complied with the gag order. The more recent school shooting in Newtown, Connecticut, has attracted more attention, and has the potential to bring some changes. In January 2013 the shootings continued. Former Senator Eric Griego’ brother Greg, Greg’s wife and three of their children were killed by their 15-year-old son with guns stored at the family’s South Valley home in Albuquerque. Greg Griego had been honored on the floor of the Senate the previous year. “We have not carried out an effective prevention strategy in this area,” Michael Landen, acting director of the department of health’s epidemiology division, admitted to me when I called asking for a progress report. It’s no wonder. 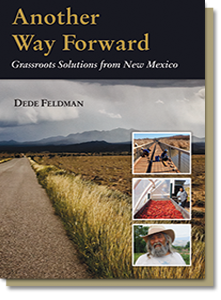 There is no grassroots group like New Mexicans for Tobacco Control with whom to partner. There is no Tobacco Fund from which to draw, or even to protect. And there is no support from either the legislature leadership or the governor’s office. Although the legislative leadership and the governor were willing to take on the tobacco companies, passing both tobacco tax increases and the Dee Johnson Clean Air Act, they are not willing to take on the NRA. Both special interest groups wear black hats, as far as I am concerned, when it comes to public health. But, with key allies in the Governor’s mansion and a hyper-active local membership, the NRA has been more successful than Big Tobacco in New Mexico. Perhaps in the Wild West its hat is not as black. Or perhaps it has just effectively used its huge national clout, campaign support, and its local advocates to leverage New Mexico’s traditional libertarian streak. That’s something that yields great rewards—for better or worse– in a small citizen legislature like New Mexico’s. 1 Elected in 1996 as Gail Chasey Beam, Gail changed her name to Gail Chasey in 2005, following the death of her father and before entering law school. 2 Bill Jordan, “Talking Points for the Children and Firearm Safety Act and the Child Access Prevention Act,” New Mexico Advocates for Children and Families, Fact Sheet, 2001. 3 David Espo and Nancy Benac,“Gun Control Calls Go Unanswered,” Albuquerque Journal, July 22, 2012, page A 6. The article cites a Gallup poll in 1990, where 78% of those surveyed said laws covering the sale of firearms should be stricter, while 19 % said they should remain the same or be loosened. By the fall of 2004, support for tougher laws had dropped to 54 %. In last year’s sounding (2011), 43% said they should be stricter and 55% said they should stay the same or be made more lenient. 4 Barry Massey, “Senate Approves Trigger-Lock Measure,” The Albuquerque Journal, February 22nd, 2001 Page A8. 5 Mark Hummels, “House Passes Concealed-Gun Measure 43-20,” The Santa Fe New Mexican, March 14th, 2001 Page A1, A2. 6 Mark Hummels, “Democrat Revives Concealed-Firearm Issue,” The Santa Fe New Mexican, February 11th, 2001. 7 See Note 5 above. 8 Loie Fecteau, “Senate OKs Gun Measure,” The Albuquerque Journal, March 16th, 2001 Page A1, A6. 9 Steve Terrell, “Senate Passes Concealed-Gun Measure Despite Controversy,” The Santa Fe New Mexican, March 16th, 2001 Page A-5. 10 NRA contributions to federal candidates have decreased from $1.6 million in 1994 to $1.14 million in 2010. In 2008, individual contributions to endorsed candidates were dwarfed by the NRA’s independent expenditures– $17.9 million used in opposition or support of candidates. 99% of the contributions supported Republicans; Center for Responsive Politics web site, http://www.opensecrets.org/news/2011/01/ideologicaly-confused-corporations.html. At the state level in 2008, the NRA donated $11,000 to legislative candidates, Thom Cole, “UpFront,” Albuquerque Journal, February 25, 2009, page A-1. 11 Associated Press, “Boy Shoots Toddler with Father’s Pistol,” Lubbock Avalanche Journal, March 5th, 2002 http://lubbockonline.com/stories/030502/nat_0305020060.shtml. 12 Deborah Baker, “Court Backs Concealed-Gun Law,” The Albuquerque Journal, January 6th, 2004 Page A-1, A-4. 13 As a presidential candidate in 2008 Richardson got the support of the NRA from an independent expenditure of $15,180; OpenSecrets.org; http://www.opensecrets.org/pres08/indexp_indiv.php?cid=N00024821&cycle=2008. 14 Jill Lepore, “Battleground America,” The New Yorker, April 23rd, 2012 Pages 38-47. 15 Gov. Susana Martinez, Twitter, August 2011. Martinez also reminisced about her gun during her speech at the 2012 Republican Convention in Tampa. 16 Statistics cited in Bill Moyers video posted on the Huffington Post, August 23, 2012. 17 Statistic cited by Joline Gutierrez Krueger, “Add Common Sense to Gun Law Arsenal,” Albuquerque Journal, July 27, 2012, page 1. 18 Michael Landen, New Mexico Department of Health, Department of Injury Prevention, e-mail messages and charts sent to the author, June 19th & 25th, 2012.